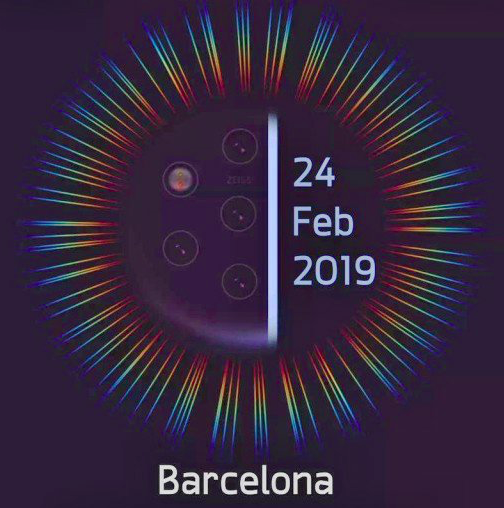 Two days ago, Nokia's very own Chief Product Officer tweeted about an exciting announcement on February 24. 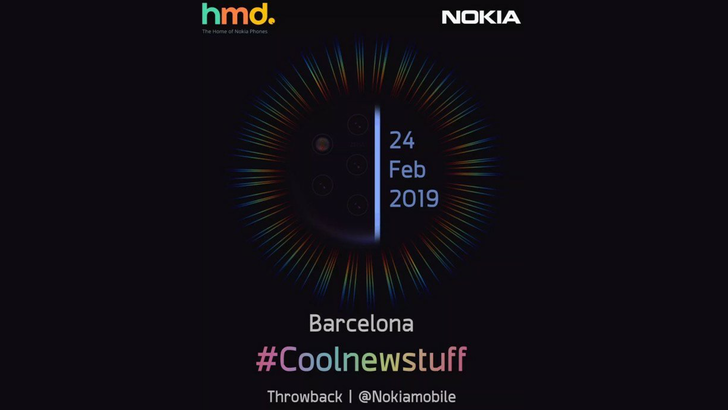 Today a teaser showing a disproportionate number of rear cameras, the hashtag "#Coolnewstuff," and the date and location of MWC mysteriously appeared on the web, implying the Finnish company could disclose new devices in Barcelona. While Nokia hasn't given specifics on what to expect, the images suggest the manufacturer could reveal the N9 PureView during MWC in Barcelona this year. The sensors on the teaser follow the same layout we've seen on previous Nokia N9 leaks, although only four are visible, while the phone is expected to boast five of them. Few details are known about this handset, but it's safe to say it will come with Zeiss Optics, and offer a bloat-free interface thanks to Android One. Previous renders have also shown it should have an in-screen fingerprint scanner, a Snapdragon 845 Processor, 6GB of RAM, 128GB of internal storage, wireless charging, and no notch. A second leaked teaser sports the silhouette of what seems to be another phone, this one with a hole in its screen. Renders of a similar handset were exposed earlier this month, showing a device with two cameras and a fingerprint scanner on the back, as well as a headphone jack and a USC-C port. This appears to be a lower-end device than the N9 PureView, but we'll have to wait a few weeks to know its name. While these two photos look like official invites from Nokia and align with previous leaks and expected announcement dates, we haven't been able to find their source. The images are most likely legit, and they don't reveal any new information, but take them with a grain of salt. 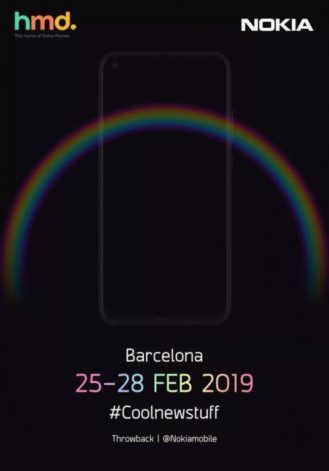 MWC starts next week, and there are going to be a lot of phone announcements at the show. One of the most anticipated is the Nokia 9 PureView with its crazy 5-camera setup. We've already seen it leaked a bunch of times, but Ishan Agarwal has just shared some more official renders on Twitter. 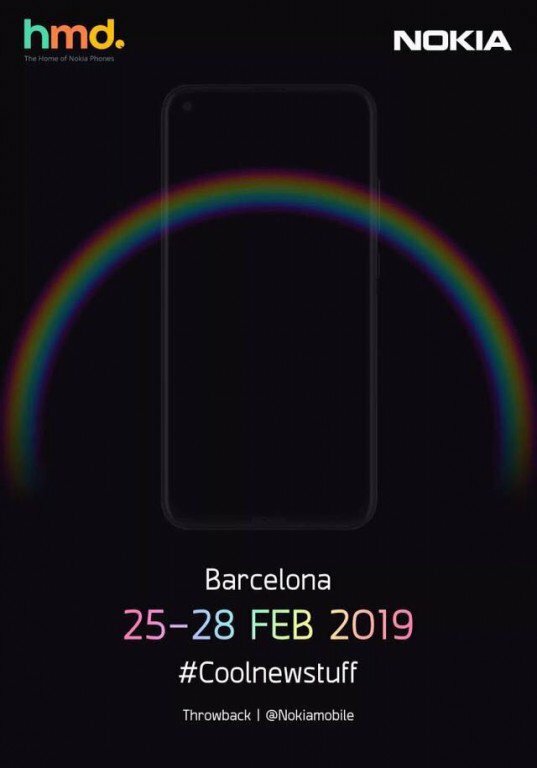 Along with some new angles of Nokia's upcoming flagship, he also offered some information about other potential launches from HMD Global in Barcelona. According to Agarwal, the Finnish company may announce a Nokia 4.2, Nokia 3.2, and Nokia 1 Plus. Only time will tell whether or these tips are accurate, but there's not long left to wait.